Your clients are busy. They hear conflicting nutrition advice every day. When it’s time to shop for food, they’re overwhelmed by thousands of choices at the supermarket. But we know healthy eating doesn’t have to be so complicated. That’s why we’re excited about the new MyPlate campaign and theme coming in 2020 with the new Dietary Guidelines – Start Simple with MyPlate. Keeping things simple is what we had in mind when we created our new Two Tools poster. Healthy eating is simple when you use the Dynamic Duo of MyPlate and the Nutrition Facts label. 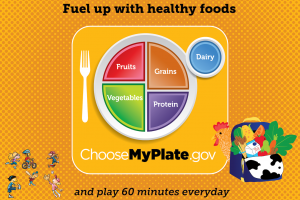 Use MyPlate as a guide when shopping for food and you’ll take home the building blocks for healthy meals. You know you’re on the right track when half of your shopping cart is filled with fruits and vegetables and half is filled with whole grains and lean protein. And don’t forget some low-fat dairy! Beware of misleading claims on the front of food packages. Check the Nutrition Facts label for the information you need to make the healthy choice. Look at calories, portion size, saturated fat, sodium, added sugars, and fiber. With MyPlate and the Nutrition Facts label, it’s simple to build a more balanced eating pattern that will promote good health. 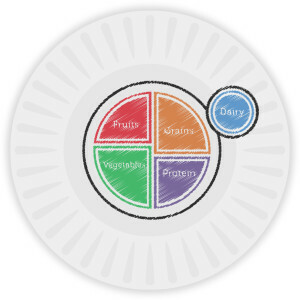 MyPlate is an excellent tool to encourage balanced eating. 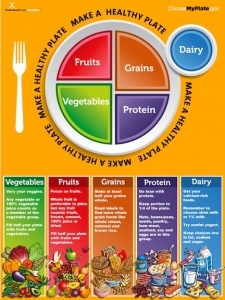 For visual learners, having an image of MyPlate is a great starting point on the road to healthful eating habits. You can take this image even farther in an interactive project. 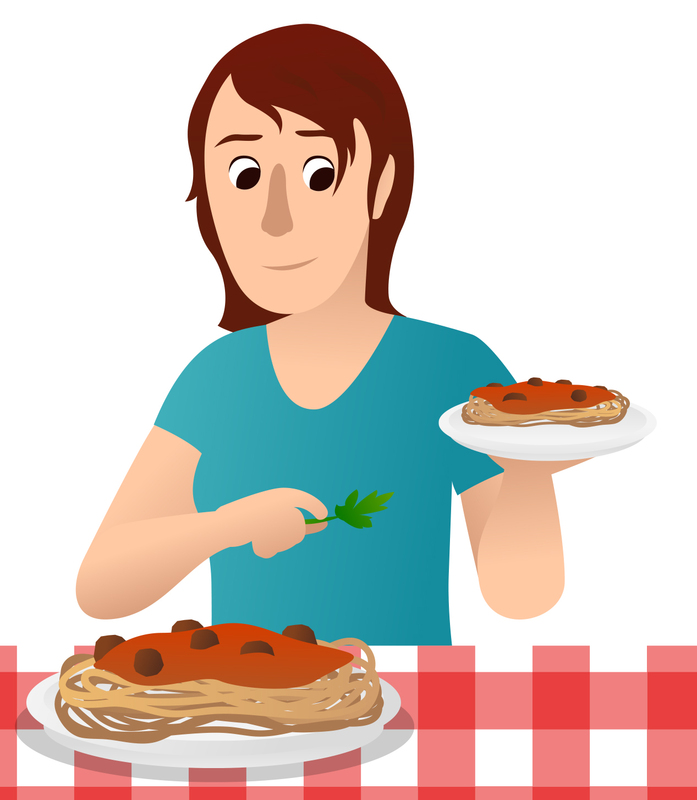 Not only will this project help cement the basics of MyPlate in the minds of your visual learners, but it will also draw in your kinetic learners as well. Almost everyone can benefit from learning by doing! So, what’s the project? Making a physical MyPlate plate. This one is pretty self-explanatory. 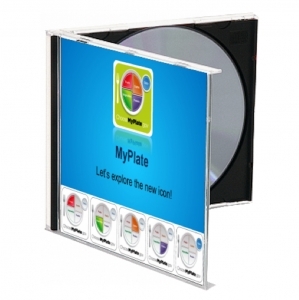 Display an image of MyPlate and walk your clients through the basics of how and why the plate is divided. After that, you can distribute paper plates to each of your participants and let them create their own MyPlate plates with crayons or markers. They can draw their designs right on the plate! Be sure to choose crayons or markers that are safe for kids — these won’t have harmful chemicals that could be dangerous to ingest. Not that a lot of anything would transfer from the plate to the food placed on it, but it’s best to play it safe. If you’re distributing food as part of the activity, have people use their plates to portion out what they eat. They may want to make several MyPlate plates so that they can use the guide a few times. After all, paper plates don’t last past one meal. To help your clients make MyPlate plates that they can use again and again, create melamine plates. These plates are embedded with the images that people draw, and they’re reusable. In fact, they can be treated just like regular plates — without fear of flaking, fading, or general destruction. To create these plates, you’ll need a Make-A-Plate Kit with specialized markers. 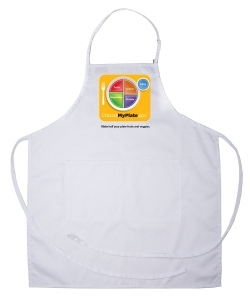 Hand out the plate papers from the kit to your clients after your discussion of MyPlate, and then let them use the markers to create their own MyPlate images. This is a relatively inexpensive project that produces long-lasting results. There is one thing to be aware of, however, and that is production delays. It often takes 2-3 weeks to return the MyPlate drawings as physical plates, so be sure to plan for this holdup. For more immediate results and a long-lasting plate, there’s always painting pottery. Yes, this is a generally more expensive and involved approach than the other two, but it also often produces beautiful results. You can turn the project into a festive outing or party, and it makes a great end-of-session finale. Hanging a MyPlate poster or enlarged drawing in the studio can help inspire your participants as they work. It also offers a great example to guide their painting. Now that we’ve discussed a few general ways for your clients to make their own MyPlate plates, let’s get into the specifics of plate creation. 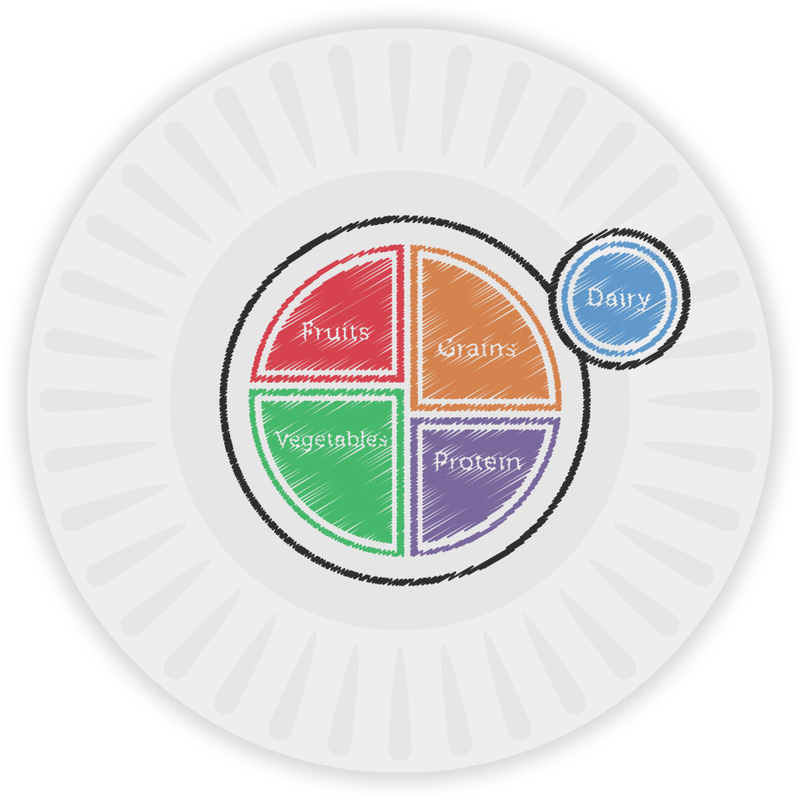 Make sure that there is an image of MyPlate available for your participants to look at as they create their plates. After all, the goal is to have an accurate guide to balanced eating available for their reference. A MyPlate with the wrong proportions on it is not helpful. Now, when it comes to drawing the plate within the guidelines set forth by the USDA, there is plenty of room for innovation. 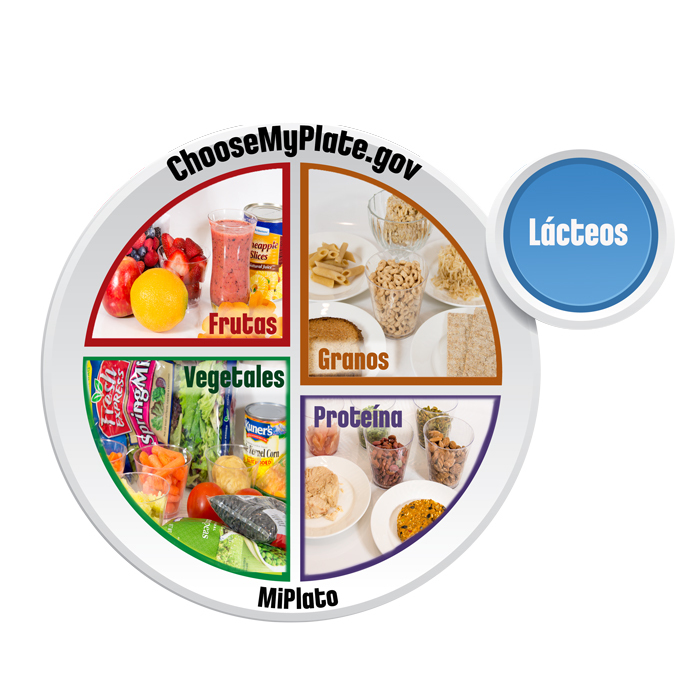 Yes, clients could copy the MyPlate image exactly “as is” from the USDA website, but they could also innovate when it comes to decorating the plates. For example, some participants could use pictures to highlight what goes in each section, drawing images of their favorite foods from each food group. 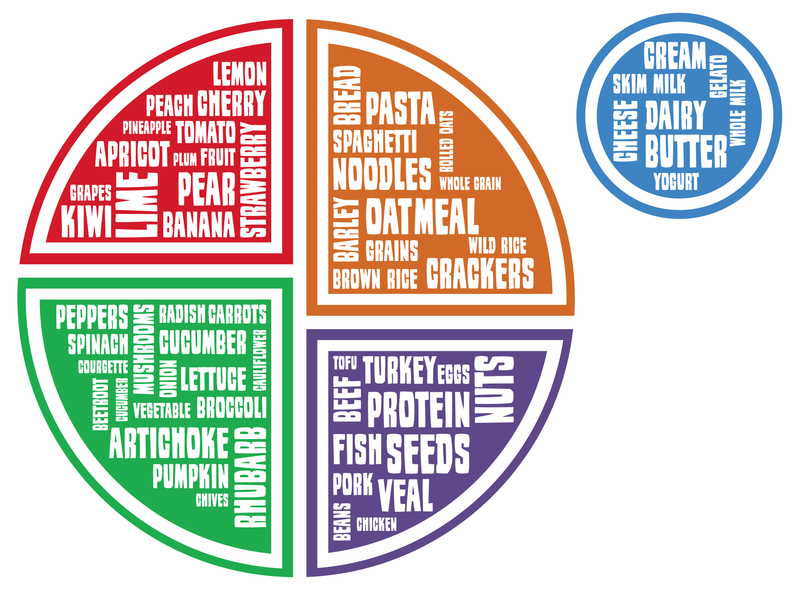 Or each section of MyPlate could become a word cloud (as pictured here). This word cloud can also feature the foods that fit into each food group. These are wonderful examples that people can pass around while they create their own MyPlate plates. The plates also make perfect prizes for giveaways and can be distributed as take-home ideas for clients. Plus, if you don’t have the time, budget, or resources to have participants make their own plates, these plates offer a fantastic shortcut. So. There you have it. A bunch of ideas for a great MyPlate project. Enjoy! There’s always more in the store. 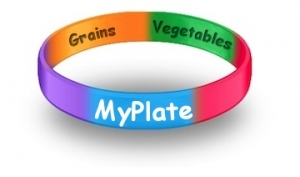 Check out these fantastic MyPlate resources! Paula Wucklund, Fuel Up to Play 60 Coach, and physical education teacher, wanted to help her fellow PE teachers and school cafeterias in Arkansas. 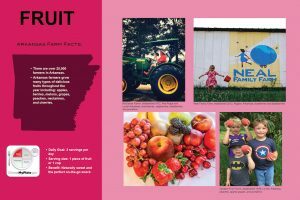 She wanted to illustrate how the farm to school program brings healthier foods into the schools and to create awareness of MyPlate, physical activity, and healthier eating for the students and the staff. She contacted us and we designed custom wall decal banners for Arkansas schools. 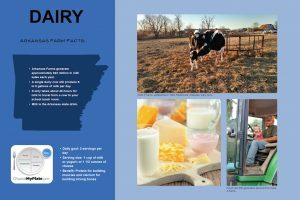 The first goal was to feature the stories and photos of many of the wonderful farmers in Arkansas to show how they work hard to grow crops, raise livestock, and produce dairy foods for students. And she wanted to illustrate MyPlate food groups with their goals and benefits. Finally we included photographs of each of the food groups. The benefits of the end result is easy to see in the photos above. The 5 food groups were featured on wall decals while the MyPlate floor banner greets the students coming into the cafeteria. The items can be adhered to the walls and they are removable. The schools will have a choice between vertical or horizontal orientations so that they can determine which works best for their walls. 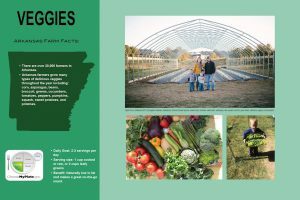 The Arkansas Farm to School program connects Arkansas farmers to preschools and K-12 schools, so that they can provide fresh produce in school meals. The wall decal posters/banners that we created will help students, teachers, and cafeteria workers realize the importance of agriculture and healthful diets for school meals. Food and Health Communications designed the banners and provided all of the forms so that Paula could contact the farmers and get their high-quality images and stories to share on the banners. They also provided the expertise for recommending MyPlate food groups and for the colorful food images. And their graphic design gave the banners an Arkansas state icon and brand. We can create a set of farm to school banners for any school program. Contact us to get help now. We always love when a reader requests a special material. It is fun to get new ideas and to design them from start to finish. One such project is a cling for a glass refrigerator door in a store. The idea is to show people how to make a healthy plate using a plate and the photos from each food group. Erika wrote to us and asked for these clear background clings that will adhere to the outside of a glass door. They are 12″ by 12″ square and filled with the foods of each section. The food group colors are used along with ample amounts of white for a fresh clean look. We have them in the store here and can make them in any size upon request. The Food Navigator has a great list of food trends for 2018. One thing is for sure. There are more choices for plant-based milks, dairy products, and meat alternatives than ever before in the store. This trend is predicted to continue. Sales of plant-based foods are estimated to be around $3.1 billion dollars. “Plant Based” is a great educational message for the new year, too. Plant-based is just a new way to present most of the lessons from the US Dietary Guidelines. 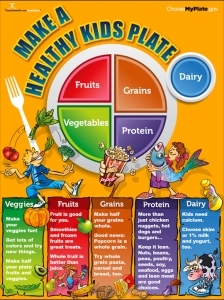 After all, MyPlate is 3/4 plants with fruits, vegetables, and whole grains. And legumes are listed as both a vegetable and a protein. Plant based – A diet higher in plant–based foods, such as vegetables, fruits, whole grains, legumes, nuts, and seeds, and lower in calories and animal-based foods is more health promoting according to the Dietary Guidelines for Americans. Whole foods – foods that are nearly in their original, whole state and have little processing; specifically they are not primarily filled with added sugar or fat or refined flour. For example, whole wheat cream of wheat is more whole than corn flakes or fruit charms. Whole wheat bread is more whole than muffins. Potatoes are more whole than potato chips. Apples are more whole than apple pop tarts. Whole foods have more fiber, fewer calories, less salt, sugar, and fat. So you get more nutrients and fiber, and fewer calories or fewer grams of artery-clogging fat or blood pressure-rising sodium. Unfortunately the trade off is that you get less convenience. But planning ahead and cooking at home and planning leftovers is a simple workaround that is better for your pocketbook and your health. Non-dairy milk – a “milk-like beverage” made from a plant-based ingredient(s). Examples include almond milk, flax milk, and soy milk. There are also many others in this category with the newest being from peas (Rippl). The advantage to this type of milk is that it is not regulated by the FDA the same way dairy milk is and thus it can contain many beneficial additives such as more calcium or omega-3 fatty acids. You should still read the label to make sure that it is not a significant source of saturated fat, trans fat, or sugar. Coconut milk often contains a lot of saturated fat and flavored milk may contain a lot of sugar. Some of these milks do not contain any calcium so that is another item to check, too. Regular milk always contains about 30% of the daily value for calcium so try to stay close to that amount since dairy products are usually the most significant source of calcium in the modern diet. The benefits of this plant-based milk are that it is plant based, sweetly flavored, thicker than skim milk, and easier on the digestive system for most people. It is also an option for people who choose to be vegan or vegetarian. Dietary Guidelines – a set of guidelines mandated by US law that provides an academic committee to review the most recent nutrition research and provide guidelines to Americans and their health care providers every five years. MyPlate – the icon for a balanced diet from the USDA. 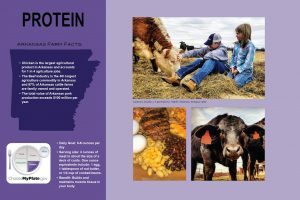 It is based on the dietary guidelines and helps people balance their meals by providing a plate graphic with 5 proportional food group sections that include dairy, protein, fruits, vegetables, and grains. Vegetables – The parts of herbaceous plants eaten as food by humans, whole or in part, are generally considered vegetables. This includes leaves, seeds, bulbs, stems, roots, flowers, and fruits. Fruits – in botany, fruits are the seed-bearing structures of plants. In the culinary world they tend to be the sweet ones like oranges, apples, bananas, grapes, kiwis, melons, berries, peaches, pears, and more. The more savory fruits like tomatoes and avocados are used as vegetables in a kitchen. Beans – seeds from a legume pod also called dried beans, legumes, or pulses are from flowering plants in the Leguminosae family. This includes the soybean, chickpea, bean, and pea, among others (Morris 365). Other lesser known members of the legume family include clover, licorice, lentils, and the peanut. Organic – food that is free of certain pesticides and fertilizers; using organic processes for sustainable farming. Meat as flavoring component or garnish – a topic and general tenet of plant-based diets where meat becomes a flavoring agent or garnish instead of being the main entree on the plate. The new plates are here! Portion control – while MyPlate is a fascinating and effective way to teach food groups and a balanced diet some people want a lesson that is more geared to portion control and weight loss. 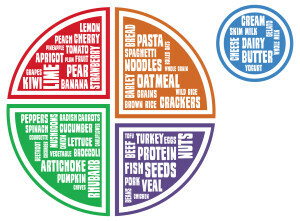 The new portion control plates were designed to follow the principle of using food groups so that the right sized portion of protein is used and half the plate is fruits and vegetables or vegetables. 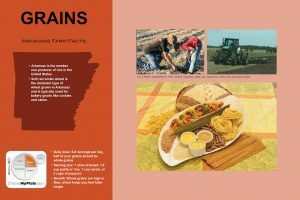 An emphasis on whole grains is used. PLUS there are reminders about beverages and physical activity. We used warm colors in an elegant design that will make everyone feel special and enlightened. Compartment plate – this plate is flying off of our shelves and everyone tells us they love having a compartment plate so that each group has its own measured space. Diabetes – we had a leading diabetes educator dietitian help us with the strategy for this plate. The idea is to provide a real line about how much of each food to put on the plate and to make half the plate non-starchy vegetables. One quarter of the plate is starch and the other quarter is lean protein. The design is meant to be very elegant so the patient does not feel like they are getting some alarming or degrading lecture. Of course we still have our custom designed MyPlate Plate, too. Check them out – and see the special early 2018 pricing that won’t last long. The 50 packs are an excellent deal and their price includes shipping to the 48 states.